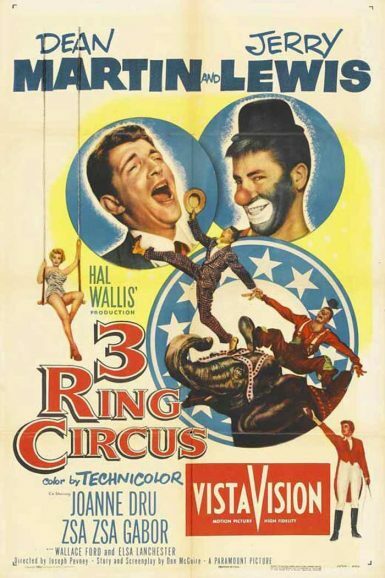 Together for their twelfth feature, Dean Martin and Jerry Lewis play a pair of ex-GIs who find work at the 3 Ring Circus. While Jerry dreams of becoming Jerrico, the Wonder Clown, he’s tasked with doing everything under the big top, including lion taming and becoming a human cannonball. Meanwhile, the smooth-talking Dean romances both the circus owner and the temperamental trapeze artist (Joanne Dru and Zsa Zsa Gabor, who reportedly clashed repeatedly on set). The rarest of the Martin & Lewis films – never officially released on home video in the USA!